The art of making paper is part of this planet’s colourful history that spans across cultures. It is indicative of humanity’s persistence, perseverance, imagination, and creativity. Paper is integral to the production of money and the writings of business and government that chronicle the organisation of modern man’s efforts across millenia. Paper has documented the abundant sources of literature and the writings of scholars and students. Paper is fundamental to many sources of entertainment. Paper has recorded the descriptions of people, places, and time so that others may learn and share. 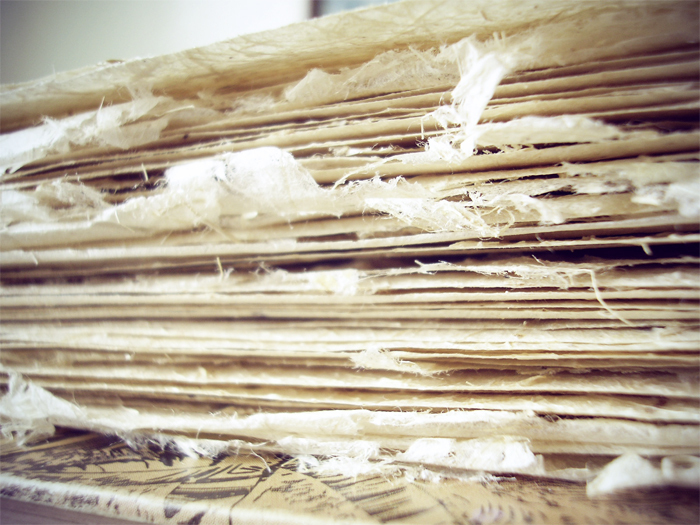 Paper has contributed to the many comforts of home that are taken for granted even today. Looking back there was a time when humans cultivated what they needed to eat and crafted what they needed to use. They did not shop for the future but were self-reliant and self-sufficient. People discovered ways to store their surplus or carry their goods in items found through nature. They used bags woven from grasses or leaves, and made containers from shells, animal organs, skins, horns, fruits, and vegetables to cache smaller items and liquids. Holes were dug out of logs or in the ground for long term storage. However, as the population grew and expanded, people discovered they could barter, trade, sell, and purchase from others and from further away. No longer were they restricted to home procured items and products, but local markets became available to display and distribute wares. In addition, people wanted to save what they learned, write about what they discovered, and keep records of their transactions. Necessity is the mother of invention, and so it was with paper, paper packaging, and eventually printing, marketing, and advertising. Papyrus and rice paper are often considered the first types of paper, but the true beginnings began in China sometime between 140 and 86 BC. Subsequently, in AD 105, Emperor Ts’ai Lun of the Imperial Court is credited with inventing the precursor of what is most similar to modern paper when he emulated wasps creating their nests. He used bamboo and water to make a paste and then dried it in the sun. China advanced paper making with the use of starch as a sizing material or stitched together pieces of bamboo with silk or animal hairs. The news spread across Asia and eventually to what is now the Middle East, but it took more than 500 years to reach Europe. Europeans favoured parchment made from animal skins in the 9th Century, but since it was so expensive others sources were introduced such as flax fibres and eventually recycled rags made from cotton and linen. However, as the need for paper grew and moved further west into America, fewer rags became available for recycling across both continents as people chose to wear their clothing until they wore out. The Black Plague also interrupted the supply of cloth, when rags were burned to prevent the spread of the disease (Twede, D. 2005). Cloth and paper are the oldest forms of flexible packaging that were used initially to protect delicate items of value or to preserve small pieces of food. Once people began to shop for possessions, they needed ways to take them home and companies had to find ways to distribute their products. The types of paper packaging that are common place today have been through numerous transitions, but the premise to deliver, protect, and preserve is fundamental to their development. The inventions of paper packaging and the simple paper shopping bag have necessitated a number of inventions, and the result of extensive research and experimentation. In 2007, Diana Twede, with Michigan State University in her article The History of Corrugated Fibreboard Shipping Containers stated: “Three key technological inventions in the 1800s set the stage for the mass production of paper based packaging by the end of that century: the paper making machine, the process for pulping wood and lithographic printing” (Twede, D. 2007). Twede elaborated, “The makers of shipping containers have always had a strong relationship with the transport industry and by the early 1900s, these inventions reduced the cost of paper enough to make it useful for a wide range of disposable packages” (Ibid). Similar to the history of paper making, the making of paper packaging is writ with ingenuity, but also some conflict. Cotton bags were used to store flour and sugar in the 1850s, but in America when the supply of cotton was interrupted during the Civil War, cotton bags were exchanged for paper. Glued paper sacks replaced cotton flour sacks around the same time. This was quickly followed by the introduction of corrugated paperboard as a way to replace wooden boxes in the 1870s. Diana Twede asserted that the first patent for making corrugated paper was issued in 1856 in England that copied the manner fluted irons were used to make ruffled Elizabethan collars. 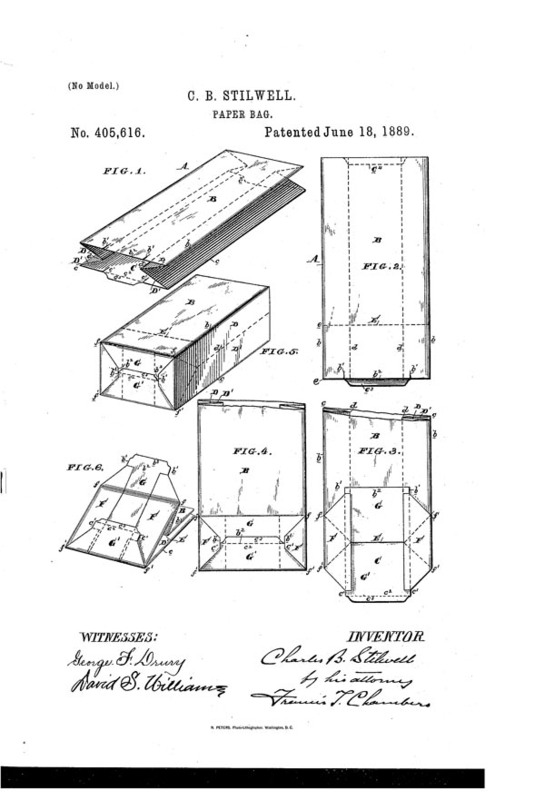 Then, in 1871, American Albert L. Jones was granted the first patent for corrugated paper as packaging material. However, Hook and Heimlich, in A History of Packaging, credit “Robert Gair, a Brooklyn printer for discovering the carton in the 1870s when he accidentally cut a bag while printing an order” (Hook & Heimlich). By cutting and creasing paperboard, he created what is now known as “semi-flexible packaging” (Ibid). Nevertheless, just as the creation of packaging required new printing methods, newer printing methods ultimately required new packaging and filling processes. The need for packaging was congruent to the development of the first grocery store, the concept of shopping, and eventually the mass production of brand items in factories. This also induced the creation of mechanised methods for high volume packing, wrapping, and advertising to attract customers. Moreover, branding and marking of products necessitated additional printing processes in order to produce automatically printed paper bags and boxes on a larger scale. One of the first examples is when the Kellogg brothers used paperboard cartons to package and advertise their newly created flaked cereals. The first printing machine was invented in the 15th Century, but in 1799 the earliest paper making machine was invented as a more efficient method to meet the increasing demand for paper as the paper industry continued its surge. Numerous patents were granted throughout the 1800s for paper making products from cornstalks, hemp, jute, bamboo, peat, straw, and waste paper. However, the quality of the paper was low grade, and in the 19th Century steam-driven paper making machines made paper with fibres from wood pulp. The first mechanical pulp producing mill was established in the United States using ground wood in the late 1800s, but yielded poor quality pulp, and more superior chemical wood pulping technology quickly followed. C.F. Dahl of Germany invented the less expensive “kraft” or sulfate process of chemical pulping. Dahl’s process increased pulp strength and could be used for a wide range of wood types, and various species of trees and wood were readily available across much of North America. This method dominated the paper packaging industry and then quickly adopted in other European countries and in the United States as the main source for wrapping and shopping bags (Twede, D.2005). Therefore, two inventions in the early 1900s permanently changed paper bags and packaging: In-line small printed bag machinery and the means of sewing the ends of larger sturdy multi walled bags using tubing machinery, after which almost all cloth bags were replaced by paper. But above all, the paper bag has allowed for ease of shopping, a flexible way to distribute domestic and international gifts and foods, the preservation of perishable products, the protection of merchandise, is a means of marketing for businesses, and a reliable source for point of purchase advertising. Finally, as a renewable resource and a recyclable product, paper bags address many concerns of environmentalists.